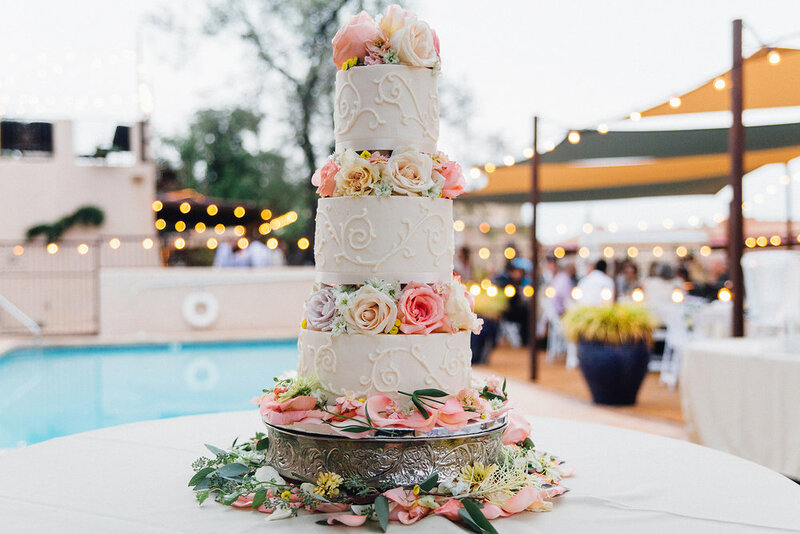 Nate and I caught up with Stephanie from Let Them Eat Cake to talk about something delicious: wedding cakes (and cupcakes)! Stephanie is not only a professional, she is an artisan. Her devotion to her craft and clients shines through every cake she makes. Throughout our interview it was clear to me she knows what she is doing, she loves what she is doing, and she is a great asset to any bride and groom because she cares about their happiness. Here's an introduction video on how Let Them Eat Cake came to be. 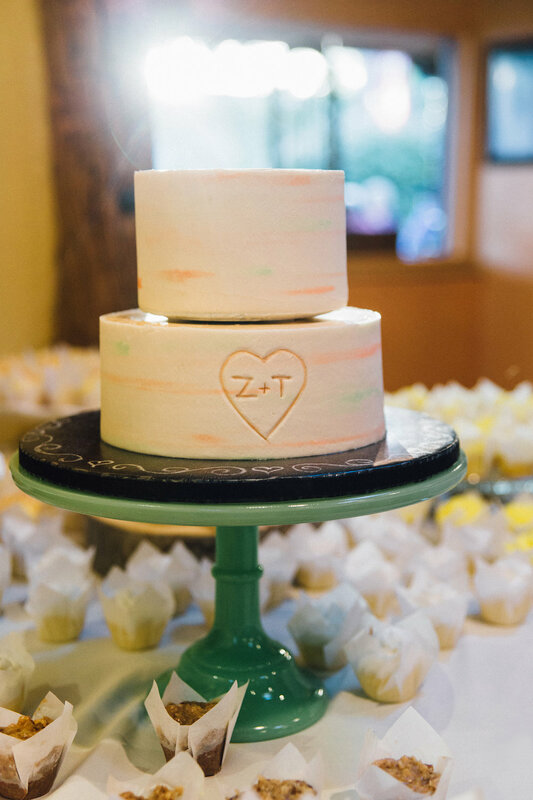 What trends are you excited about this year for wedding cakes? "I get this question every year and I dread this question because what I think weddings are about are the combining of two different people, their personalities, their likes, and what they deem they want to experience at their event. So to pigeon hole that into what’s trending right now; I dislike that. I think the cake should represent the couple getting married. I guide people towards defining what is unique for them. I commit myself completely to creating a vision that somebody has and I help people find that vision." When should a bride and groom book your services? "As soon as they know they are interested in possibly working with me, give me a call. Let’s set up a time to sit down. The sooner they start the process, the less stress on them. My goal for my clients is for them to be happy. For them to be happy that means they are happy with look, taste, and price. I am very willing to work with them to figure out how we can get all three of these components to make them happy. If I cannot make them happy I would rather help them find someone who does. As much as I would love to be a part of their event, my goal is for their happiness." 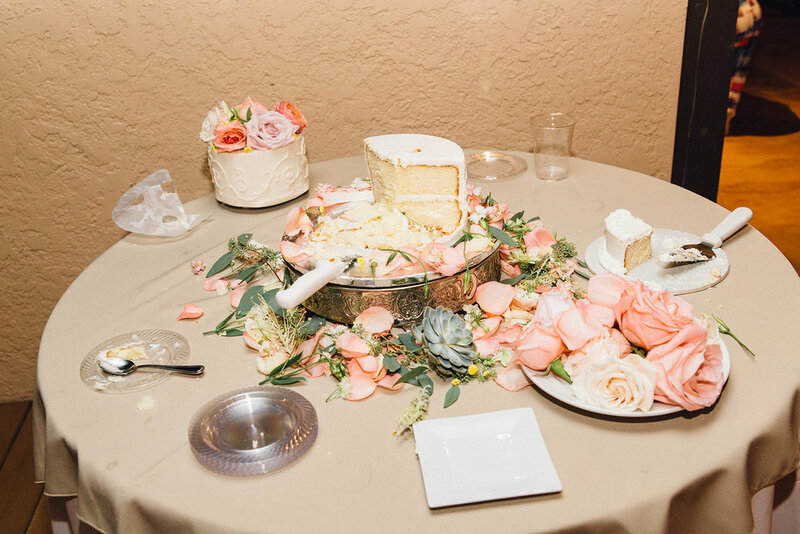 What is a cake consultation like at Let Them Eat Cake? "This is my life. I have been doing this professionally for about 16 years now. I know a whole bunch of things that I would love to tell the couple. A sit-down consultation is more of information exchange, it’s a no more pressure kind of thing. Consultations are complimentary. I know I do this a lot more than they do. I am very willing, able and happy to help guide them through different things. There’s so many possibilities in the realm of cake decorating that it can get a little bit overwhelming but I am happy to be that Sherpa, to be that guide." "I love it when brides come in with pictures. What I ask brides and grooms at a consultation is what is your overall theme, what is the overall feeling you want to invoke in your guests? With the pictures they have brought, I look and ask, “What did you like about this?” By looking at so many different things we can pick out what stands out to them and then create what is unique for them and their event. People come in with different concerns and different focuses and we always try to address the individual and that’s why consultations are so great. I do also offer tastings where we can try different cake flavors." What advice can you give to Las Cruces brides and grooms? "We have over 450 flavor combinations, but that doesn't mean that you should have a cream cheese cake outside in July in the desert. Don't be afraid to ask questions, I am here as a resource." "Be true to yourself and what you want. A lot of times I see people forget, push down, or suppress their desires to please another. Be true with yourself and be true with your partner with what you want. I know it sounds so big and grandiose for something like cake but it’s a small reflection of everything." "A lot of times people ask me, “How can you have people destroy it (the cake), you spent hours of intensive hours working on it?” and my response is part of the consumption of the cake is the visual: you need to see it, but then you also need to follow it up with eating it. It’s edible artistry. In that way, it’s kind of a temporary art installation. Your wedding cake has a different kind of importance because it is temporary and it’s not going to hang on your wall. You’re enjoying it for that moment and it’s kind of Zen really. You need to try to be in the moment." A big "Thanks!" to Stephanie for taking a moment to chat with us about wedding cakes! If your sweet tooth is needing some attention stop in to Let Them Eat Cake (located at 1001 E University Avenue) and try a cupcake, or two.